Dominique Easley And Chandler Jones Will Make Or Break Patriots Defense | NFL News, as it happens, when it happens. Your one stop shop. Questions surround the Patriots defense going into the 2015 season, and almost all of them come from the secondary. With the loss of Darrelle Revis, Brandon Browner, and Kyle Arrington the cornerback depth chart is thin and will for sure be a work-in-progress throughout the summer and into the start of the regular season. Also, at the safety position, Devin McCourty will be under heavy scrutiny given his expensive new contract in which the team basically chose him, over Darrelle Revis. Next to him, Duron Harmon is a wild card, and you can’t expect much from Patrick Chung and Tavon Wilson in the passing game. The old cliche is that you can fix a weak secondary, with a good pass rush. That is something that Patriots fans have been harping on all offseason long, and I understand the optimism. The front seven is bursting with young talent and athleticism, but some players have yet to break out and really help make the Patriots front seven an elite unit. In 2015, they have no other choice but to make that leap, due to the fact that the defense needs to be carried by the front seven. 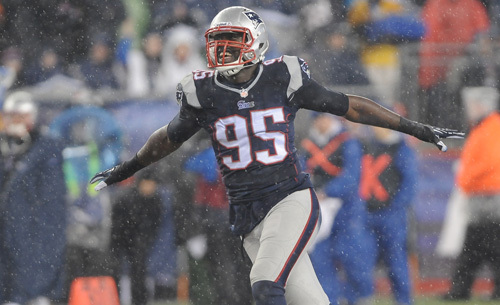 Chandler Jones has been one of Bill Belichick’s more overrated first round picks. In his three seasons he still hasn’t become that constant pass rusher that he was drafted twenty-first overall to be in 2012. Bill Belichick and Matt Patricia have used him in multiple ways, and he has yet to truly find his spot. Early on he played as a 4-3 defensive end with his hand in the dirt, and that did not pan out well leading to injury. Early last season Jones transitioned from a stand up player that would drop back into coverage, to a 3-4 defensive end. He was ineffective at both positions. In coverage he was much to slow, and inside in the 3-4 he was way too over matched physically. His toughness has certainly been a question mark at times, especially during September of last season. In addition, when he went down with injury, the team proved that they can be just fine without him when they brought in Akeem Ayers to essentially take over his role. Jones biggest issue has been his ability to stay on the field. He missed six games last year with a hip injury, and it has been reported that he had surgery in the offseason. Nevertheless, he has been on the field during every training camp practice with the first team defense. In previous seasons, when healthy Jones has been on the field for about ninety-five percent of the defensive snaps. With the addition of Jabaal Sheard, Jones may be able to rest and stay more fresh on Sundays. This, along with Bill Belichick placing Jones in a better role as a stand up edge player in a 4-3 set, could lead to him finally making the leap to an elite pass pro-level pass rusher. He has the potential to be a fifteen sack player. Dominique Easley is for sure a player that will need to heavily contribute in order for the Patriots front seven to be an elite unit. After a non-existent rookie season, fans were hoping to see a fresh legged Easley during training camp. This was not the case as he began camp on the physically unable to perform list. He returned on day number three of camp, and has been in attendance every day since then. However, the team is taking it easy with him, not throwing him into action right away. Most of his reps are coming with the second team. On Thursday, he saw some time with the first team squad and he impressed, blowing right through the line untouched at one point. Easley has a very unorthodox set of skills. His mixture of speed, power, and physicality really is unmatched to any Patriots defensive player in recent memory. He is not exactly an interior pass rusher or space eater, nor is he an edge setter that can get to the quarterback. If his knees can hold up this upcoming season, Easley needs to be what he was labeled coming out of the University of Florida. He needs to be a,”disruptor.” Collapsing the pocket, creating lanes for blitzing linebackers, and plugging up space to block running lanes is what he was drafted to do. He was dubbed as a top ten talent if he did not get injured in college, and after a fully healthy offseason Patriots fans should expect to see that talent emerge at the pro level this year. In the end, Chandler Jones and Dominique Easley are the two players that will make or break the Patriots defense in 2015. The front seven is going to need to carry the load because of the lack of talent in the secondary. The team has lacked an edge rusher since Willie McGinest departed in 2005, and Chandler Jones was drafted to be just that. This may be his last chance to prove he can be that in a Patriots uniform. 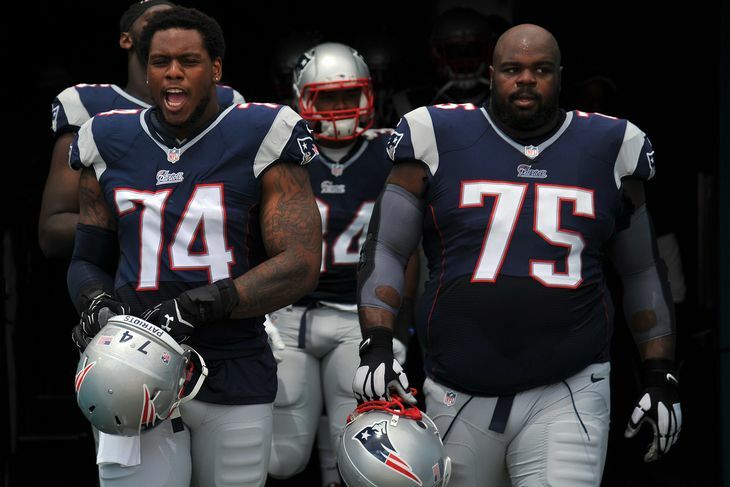 Dominique Easley needs to help fill the void of Vince Wilfork in the middle. Without Vince, there is a lot of space left barren at the core of the defense. Easley needs to prove he can stay healthy and show that aggressive nature that he shows on the practice field often. It is safe to say both Easley and Jones need to show some nastiness in 2015.